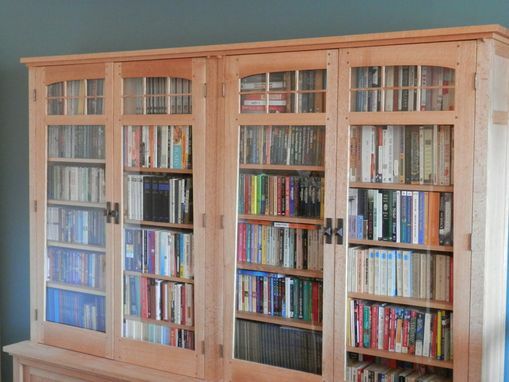 The client had just moved into a converted condo, had an extensive inventory of books and needed storage. Mission was the style of choice and this unit was designed using similar profiles from an original Stickley Bookcase from the turn of the century. 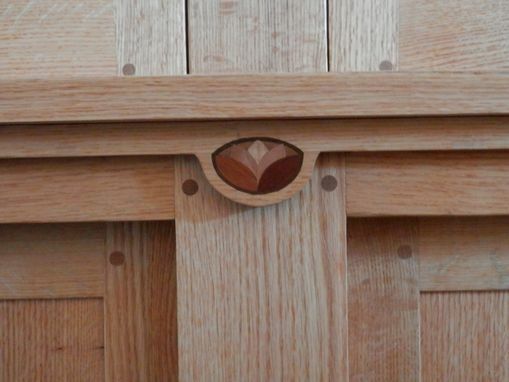 One subtle but prominent detail from the Stickly Design features a tapered, hinge-side door stile; (wider at the top than at the bottom). 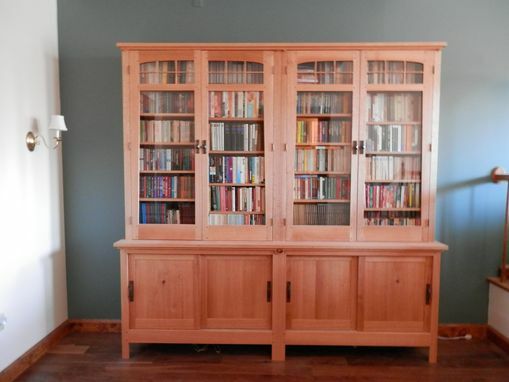 This detail gives the unit a sense of balance; for without it, the bookcase would appear to tilt away from plumb when viewed from certain angles.In addition, the curved "window" detail at the top of the doors adds elegance to the piece and helps the unit look less massive. 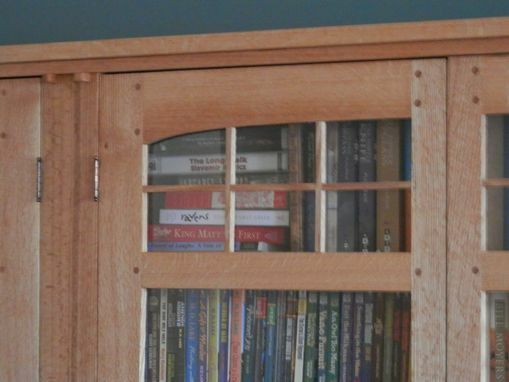 Pinned mortise and tenon joinery used throughout and quartersawn oak was the only choice in keeping with tradition. 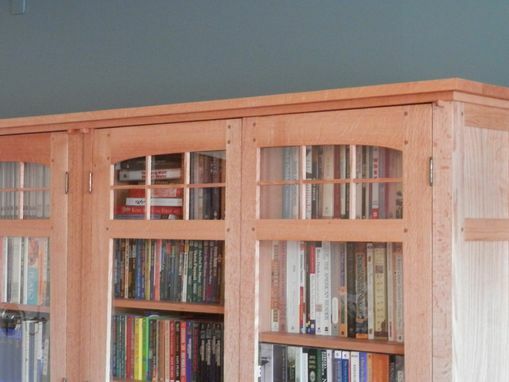 Even thought the unit is free-standing, because of its size, is secured to the wall for safety. Inlayed company logo completes the package.